STOCKTON -- A 15-year-old girl has been found after she was allegedly abducted in Stockton early this morning, prompting an AMBER Alert, police said. The AMBER Alert has since been canceled for Maria Jaar Garcia, who was found at an ampm convenience store. She was allegedly abducted at about 5 a.m. by Alex Quinonez, who violently attacked her, forced her into a vehicle and fled, according to Stockton police. 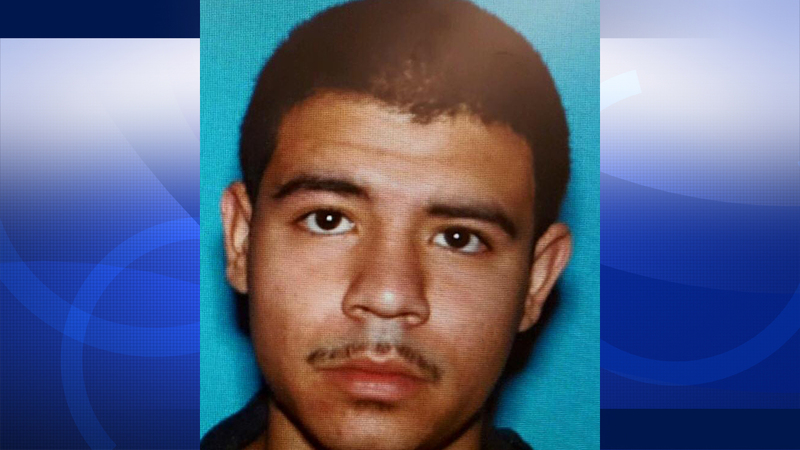 Quinonez remained at large as of 8:25 a.m. and police said he may be headed to Fresno or the San Jose area. The Chevrolet Impala he allegedly fled in with Maria was found empty along Interstate Highway 5, police said on Twitter at about 8 a.m.
Quinonez is described as a Hispanic man who is about 5 feet 10 inches tall, weighs 155 pounds, has black hair and brown eyes and was last seen wearing black pants, black shoes and no shirt.